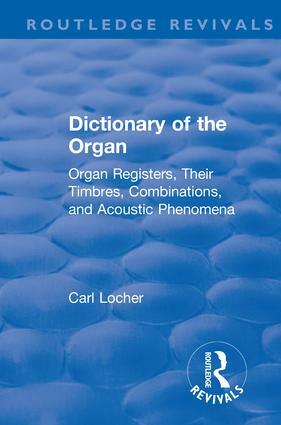 A technical volume on the construction of organs. Comprises an alphabetically arranged detailing of the various components of organs, their characteristics and uses. Also includes a study of organ building.